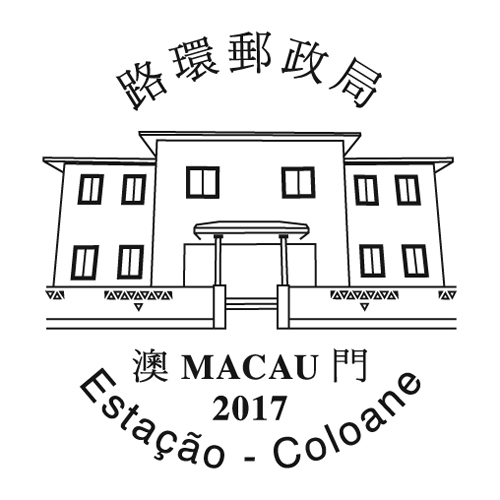 On 23rd January 2017, a cachet will be available for our customers at the Coloane Post Office. Besides the new cachet, the existing cachets are available at the Philatelic Shop of General Post Office, Maritime Ferry Terminal Post Office, “Rua do Campo” Post Office, Airport Post Office, Carmo Post Office and the Communications Museum. The cachets let our residents or tourists to commemorate their visit at the Post Offices. These cachets are for commemoration use only, and do not carry any postal function. The users should not cancel the stamps by these cachets, or the stamps will be invalidated.